Are you looking for peace and serenity? Come to Filzmoos for a unique and unforgettable holiday in the gorgeous Salzburgerland. Your surroundings are an unspoilt natural landscape, your temporary ‘home’ is a very comfortable apartment: attractive design with outstanding furniture, quality beds and a fully-equipped kitchen. 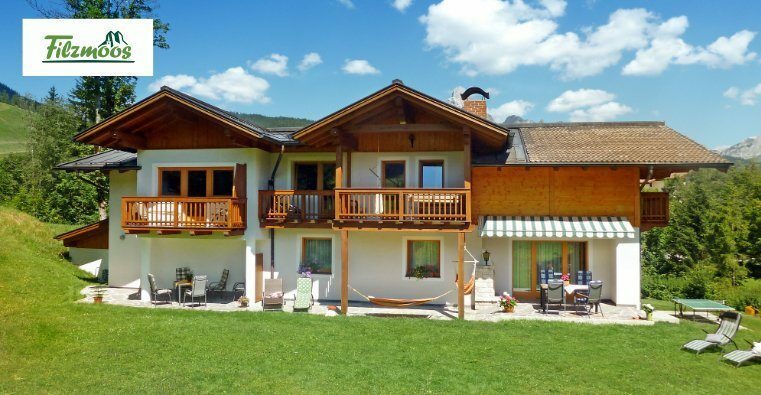 A stay in the pleasant Haus Dachstein is ideal for a relaxed and wonderful holiday. Are you looking for a relaxing holiday in Austria’s largest summer and winter holiday paradise? Come to Flachau in Salzburgerland where you can enjoy walking and relaxing in the summer, fun on the slopes and après-ski in the winter: Flachau offers adventure for every season. Dertnig apartments contributes to a fantastic holiday: uniquely comfortable apartments with outstanding furniture, quality beds and a fully-equipped kitchen. Spend your summer, winter or ski holiday here with us in Salzburgerland. 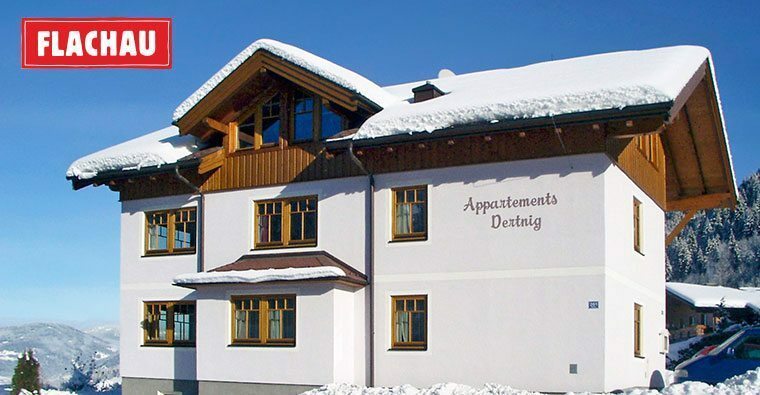 Our holiday apartments in Haus Dachstein for 2 – 8 persons and the Appartements Dertnig for 2 – 6 persons are ideal for families, groups and couples. The region around Flachau and Filzmoos offers a wealth of possibilities. Savour the impressive mountain scenery, get active and take advantage of the varied family and leisure activities available. Enjoy a holiday in the heart of nature in Filzmoos with its backdrop of the majestic Bischofsmütze mountain: skiing in the Ski amadé, cross country skiing, hiking, mountain biking etc.